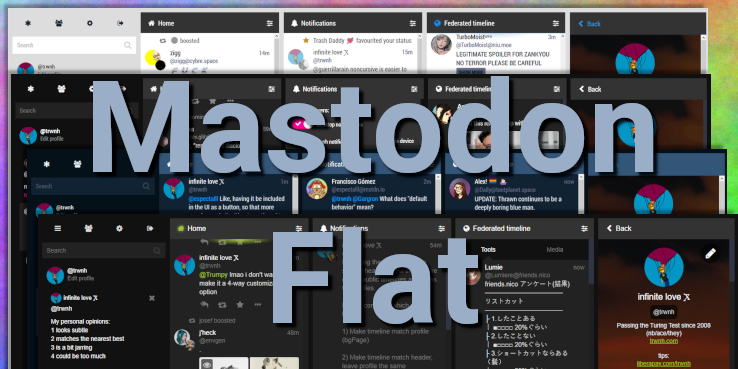 Mastodon Flat CSS (MFC) is a flat CSS theme for Mastodon, with varying palette options. Formerly known as Mastodon Midnight Blue. See all palette demos in the screenshots/ subfolder. 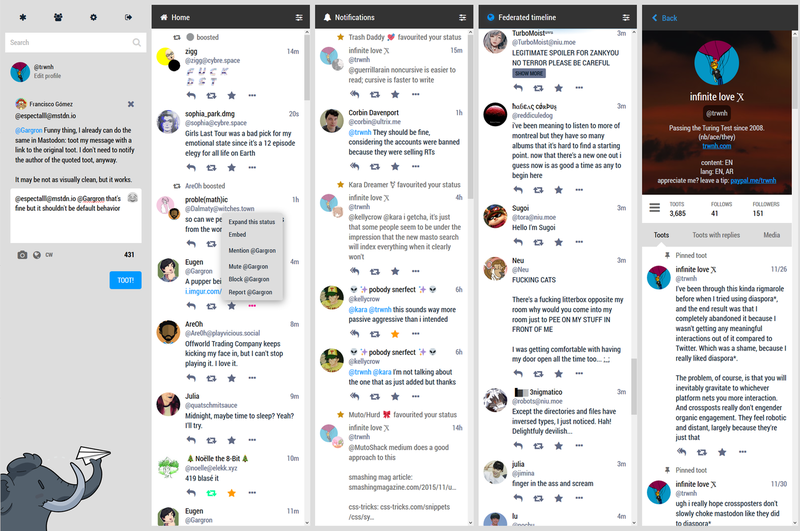 Install a user-style manager, such as Stylus. 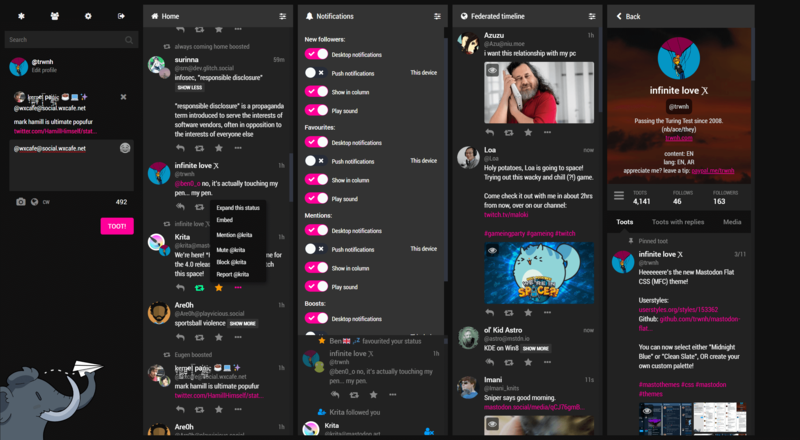 Copy-and-paste the contents of mastodonFlat.css into your new user-style. Uncomment your desired color palette, or set your own color variables. This theme applies a few colors, but leaves the class names somewhat ungrouped so that you can experiment for yourself if you wish to modify this theme with your own color choices. 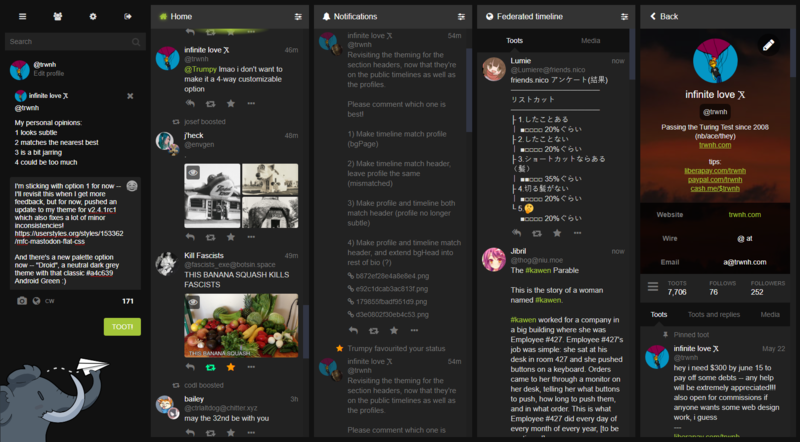 This theme also removes borders for a flat look, as well as replaces the font on most text elements. 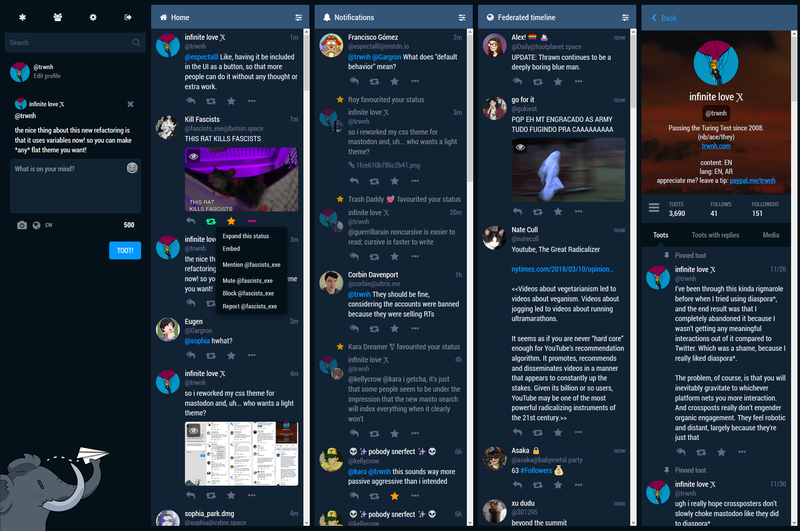 Finally, it forces the full display name and account handle to be shown, and on separate lines.